The admissions process develops seasonally and repeats cyclically. From the panoptic point of view of our office, we can tell, almost feel, the stress of the process as it gathers, crests, and breaks, partially because when it does, it breaks over us, and our office is deluged with emails, phone calls, and blog comments, to say nothing of spillovers to sites like Quora, College Confidential, and /r/ApplyingToCollege. A snapshot of our incoming email traffic to the main admissions [at] mit [dot] edu account sent over the last 90 days. That’s ~22.5k new cases, with an average response, from a human, in around a day. You can see the massive spikes at the EA and RA deadlines. One question we are often asked at this time of year (i.e. right after the Regular Action deadline) is what applicants should do now that they’ve hit the submit button. The simple answer is to fill out the FUN Form and otherwise just sit tight until March. It’s good advice, but hard to follow, because there are few things so difficult as sitting and waiting patiently for something, and even harder, arguably, to distract yourself without remembering that you’re distracting yourself to forget the thing you’re trying to forget (but failing, because now you’ve remembered that was why you were distracting yourself, and so on). And that’s just the college application process, nevermind your classes, or work, or friends and family, or whatever else may be keeping you from engaging in the small but necessary acts of self-care. So here is something to help you do that. 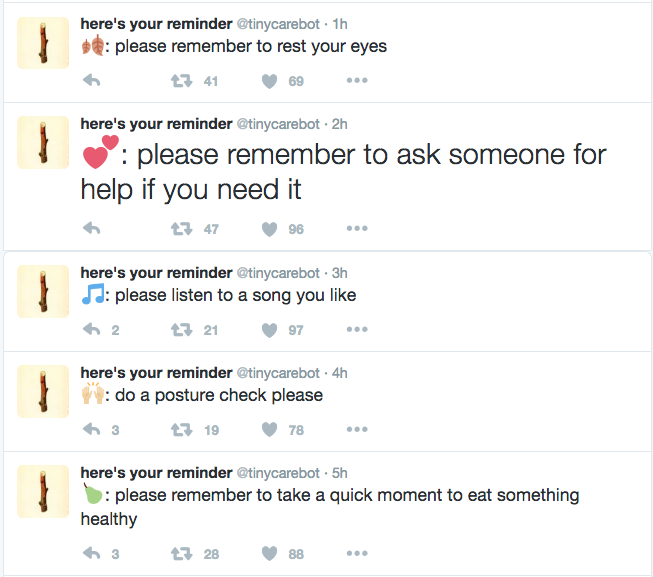 It’s called @tinycarebot, and it is a Twitter bot that MIT PhD student Jonathan Sun, a/k/a @jonnysun, created as a unit project for CMS.614: Network Cultures, which I taught this past fall (syllabus). The purpose of the project was to have students try to create a bot (often, though not necessarily, a Twitter bot) that did some kind of social or cultural work in the world. 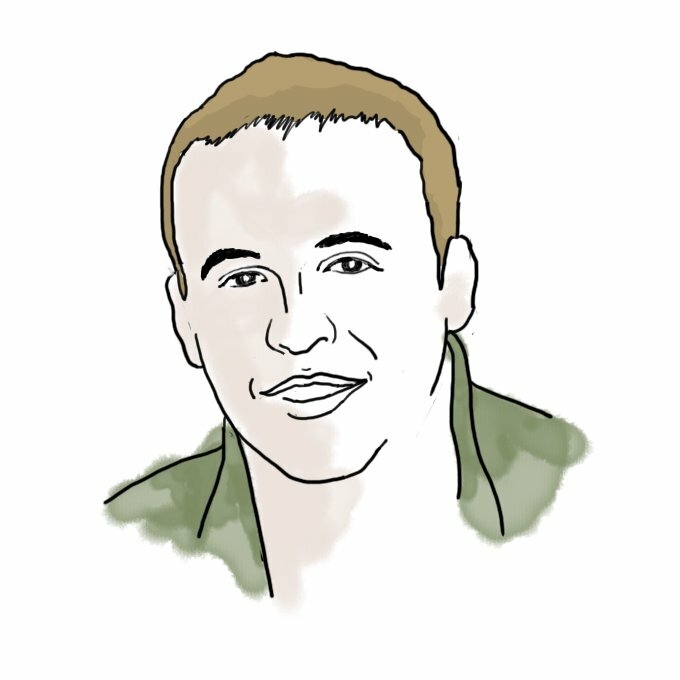 Inspired by the soothing tweets of @tiny_star_field (among others), Jonny, who is a doctoral student in the Department of Urban Studies and Planning, made @tiny_street, @tiny_city_block, and @tiny_map, but also made @tinycarebot to remind him and his Twitter followers to do nice things for themselves to preserve their own physical and emotional health. The Internet sort of fell in love with @tinycarebot, which has been featured in Time, Mashable, and the New York Times, and followed by more than 50,000 people as I write this blog post. I personally have found it really helpful to follow its suggestions (orders? ), especially as they break up my timeline if I ever find myself sunk too deeply in a social media morass. I hope you will too. Your apps are in, we’re doing the deciding; all you can do is take care of yourselves and just keep swimming.